Home Lifestyle Pausing. Breathing. & Making it Doable. Pausing. Breathing. & Making it Doable. In my blogging journey so far – I’ve been told how terrible some of my blogs have been, some have lacked research, devoid of right information, and that some had all glam photos and no content! There flows in a lot of unsolicited feedback to dampen my spirit. (the good days exist, of course). When all this has been thrown at me – regulating my own emotions has not been easy. Psychologists call this process – Emotion Regulation. I’ve smiled back at 80% of these people. Cared to give a rational response to a Few too. Started writing yet another blog. Yes – I do need to write better. I do need to take feedback in my stride. And YES – Believe in myself. Have unshaken faith in my effort. Stick to the bigger picture. Mute the outer noise. So this blog is about Focused Breathing and the WHY of it. To tell someone to start practicing focused breathing because it helps with stress and regulating our emotions is a bit absurd or a maybe a lot absurd! Very ‘hip’ too! All that talk about Breathing is so ín’. All that about mindfulness doesn’t sound practical! We discard is as -Meaningless, irrelevant and too damn spiritual to deal with. So a better, doable, workable and impact generating word for our never-ceasing, chaotic, on the go 24 hours is – Pausing! Pausing to take a single deep breath. Pausing to take the mind off everything that is swallowing/absorbing/overwhelming (or causing any emotion close to that). Pausing to think before you respond and not react. Clear the head. Couple of deep breaths and then off we go into the battle field yet again! Why? Why do I even need to stress about pausing/ breathing/ mindful breathing?? Because you’ve forgotten to stand, stare, think! All of that is a dying art. It’s considered regressive unless someone’s paying you for it. Because there are allergies, migraines, inflammation, and even miscarriages and then there is catching up to do, a movie to watch, a new restaurant to check out, a theatre performance in town. 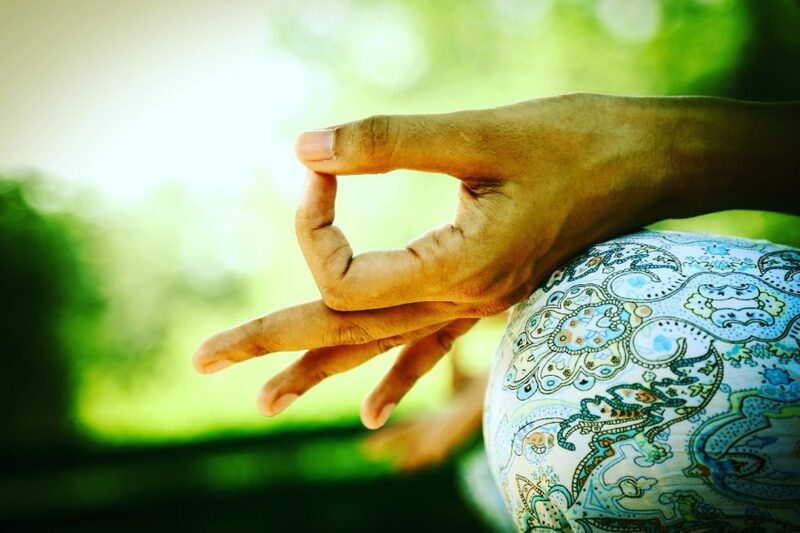 You don’t need to be super-zen to meditate. You don’t need the spiritual personality either. It’s simple. It’s breathing. It’s focus on breathing. Put everything aside for a few minutes (remember few minutes) and concentrate on the breath – it’s mindful breathing. There are ONLY benefits of emotion regulation through focused breathing. The mind becomes resilient. The brain learns to steer clear of naysayers. The traveler in you looks inward more for checks and balances than outwards. You are aware of the mistakes you are making. You only get stronger. You begin to realise that there IS something called as – Mental Fitness. And it is a TANGIBLE. But. It needs work! A few ways on how to get started on a focused Breathing practice. Set a timer. 5 mins for starters is great. Sit in any comfortable position- It could be your bed, your favorite couch, on the floor. Doesn’t have to be the cross legged (lotus) position. Just about anywhere. At the back seat of the car too. Anywhere you are comfortable. Start gathering your mind in one place. I used to always think of the 5 next things I had to get done for the day. Fidgety. The truth is – it never really gets done with. Never! There is always something that badly needs your attention. But gradually I knew that these 5 minutes were for a better reason. As you focus take big deep breaths – One simple way of doing this is to concentrate on the air going through your nostrils – The inhaling and the exhaling. You could also put your hand on your belly and feel the hand move up and down as you breathe deep and slow. It will take effort, but stay at it for those 5 minutes – Because mental fitness involves effort too. You do need to pause. Work on taking that pause. The mind will beg you to get up and leave and get on to the next task. Perseverance works – like it does in everything else. I started with 5 minutes. Today it’s 10 minutes for me in the morning. 5 mins in the night. There is no one single way – I usually chant and start my day and that is my way of mindful breathing. Sometimes I follow it up with Pranayam. The choice and the tools and the pause is yours. YouTube has many resources that you could use to begin with. They have chants, mantras, just meditation music and the sounds of four elements (water, earth, wind, fire). or You could just concentrate on your own thoughts. Remember you aren’t trying to meet any standards – This is for yourself. To feel good about taking a pause. No force, no standard. Nothing. Just you and a few deep breaths. No competing with the last breathing exercise. But do stick to the time you have set on your timer. I’ve often seen myself take a deep breath before taking a call. Or when my kids are fighting and bringing the house down, Or before setting out for a meeting. This hasn’t happened easily. It’s taken resilience, conscious pausing I saw myself frowning, reacting, getting angry and reaching the tipping point! and then… most of us realize…..
Life is beautiful. And there is a lot to be grateful for. Breathe.